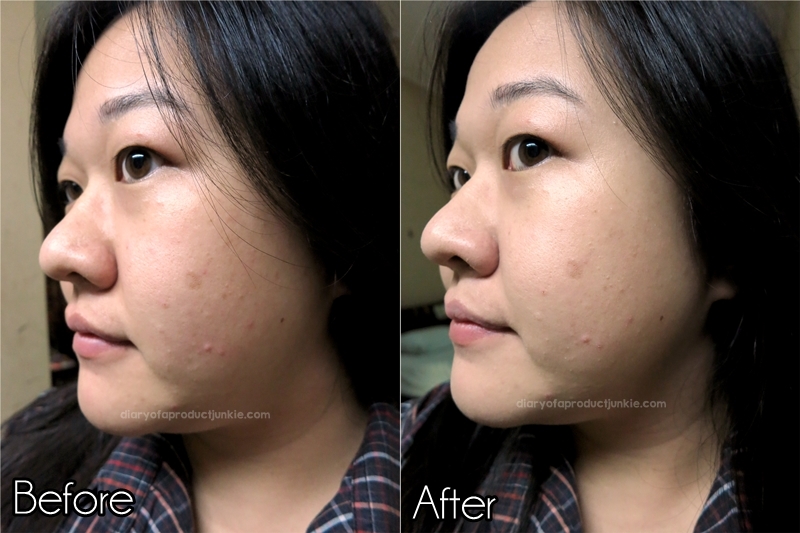 Hello, lovelies~ I was surprised when I found out that I was chosen as one of the beauty bloggers to review the new product from Etude House. Yes, it is their Precious Mineral Almighty Any Cushion! The product came in a sweet princess-like packaging with the silver dots design and print on a pink and white box, which is the color signature of Etude House, I feel. 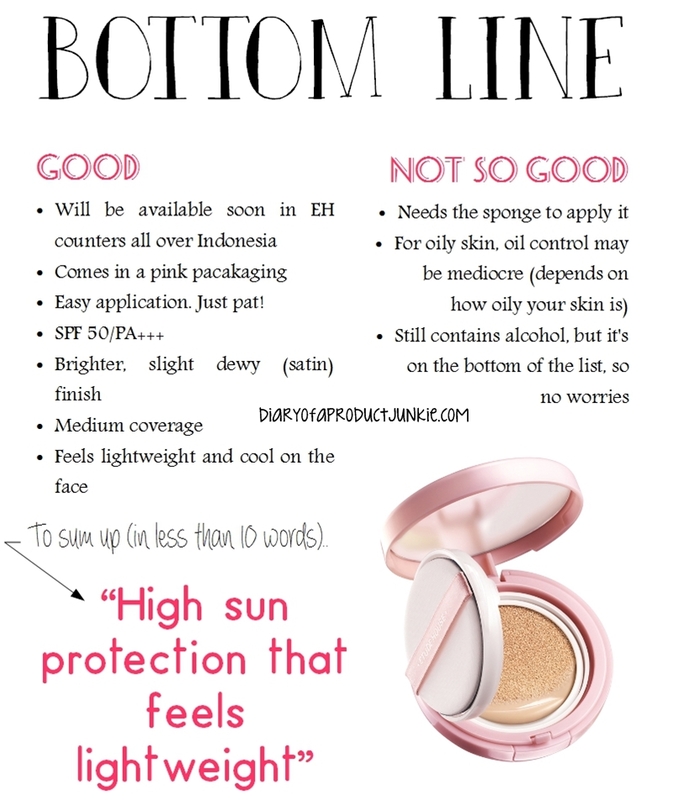 There are a lot of product information on the box such as the shade color on the top part and ingredients list on the side. The ingredients are placed on the side of the box, thankfully, in English! Most Korean brands doesn't really translate their ingredients to English, but Etude House does, yeay~ It contains silicone to give that smooth silky feel to the skin, along with physical sunscreen (zinc oxide and titanium dioxide) and chemical sunscreen (ethylhexyl methoxycinnamate) placed high up on the list. You'll know you get protected from the sun with this! I'm so glad that this cushion foundation is free from mineral oil and petrolatum. It still contains alcohol, but it is way down the list, so I don't mind. Out of the box, I was greeted by the purple pink compact that bears a capital 'E' in the middle surrounded by the same silver dots design on the box. The compact is thicker than most compact powders I've seen so far. 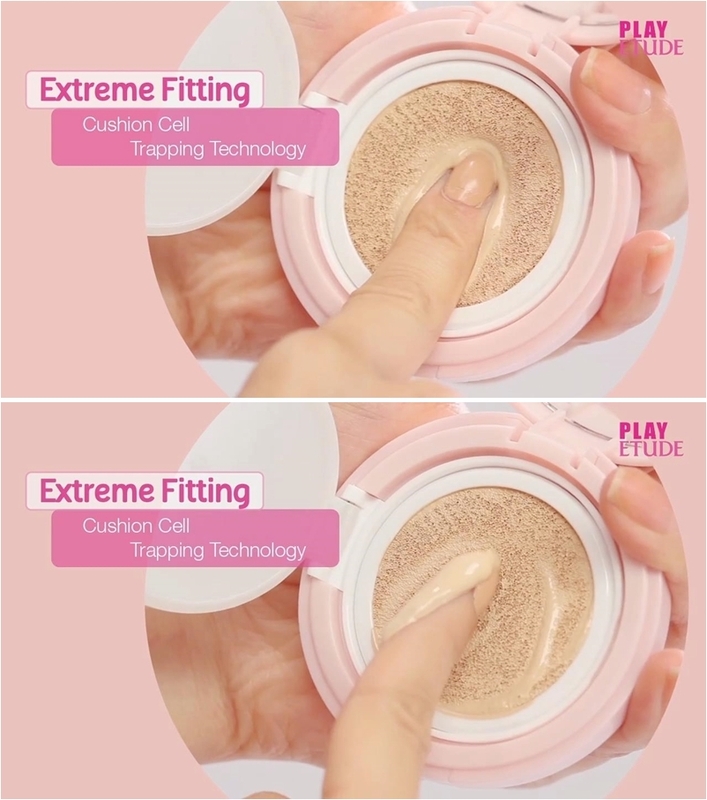 Once I pop open the compact, there is a thick plastic separator between the puff and the foundation. 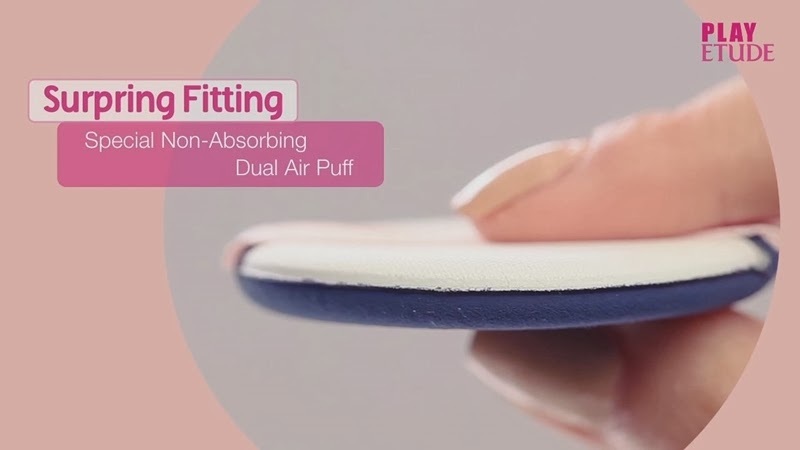 This keeps the puff from being 'wet' most of the times it's inside the compact. After I flip open the white plastic separator, there is a seal before revealing the cushion foundation. A good way to let you know that you received a brand new item with the seal still on it. The cushion stores all of the foundation iniside it, so to pick up the foundation, I need to use the puff that comes with it. I tried using a brush to do this, but it ends up looking cakey on my face because there are too much foundation on the brush. You can see in the picture down below that the cushion is filled with the foundation when the model pressed her finger on it. Applying the cushion foundation on my face turns out to be as easy as ABC. All I have to do is press the puff on the foundation and continue to pat it on my face to spread the foundation evenly all over my face. This would be practical on rushed mornings where I need to just get my base quick and easy. You can see how to apply it on the video below. Let's move on to my favorite part, the coverage test. I feel that it made my face look stark white, but Mr. G doesn't seem to have any comment when I have this on. He usually points out if my foundation is too white. You tell me, is it too white? Anyway, you can see from the picture above that the cushion foundation evens out my skin tone and conceals the redness on my cheeks. It also works the same way for the acne scars on my right cheek as it doesn't look as red as before I applied the cushion foundation. 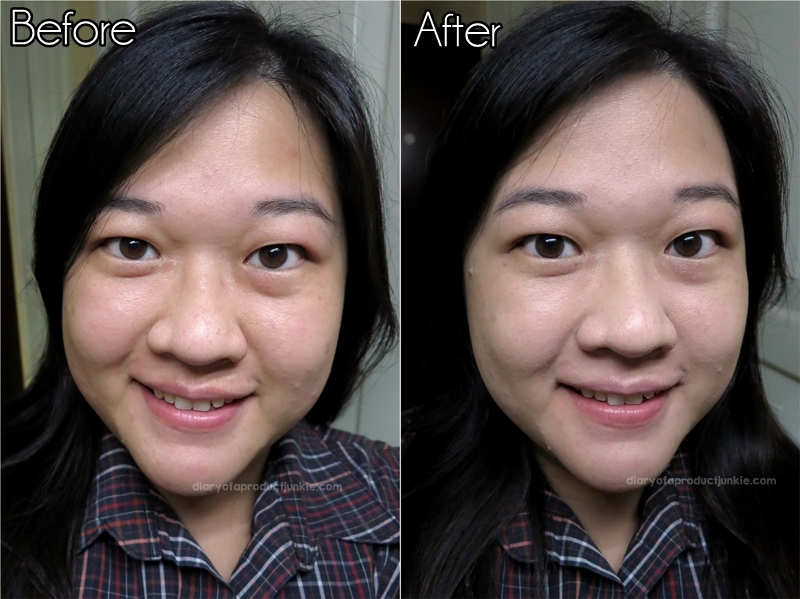 As for the oil control, it was an average 2 hour on my oily face, other skin type can probably go longer than that. It feels cooling on the skin as I applied it. It has a slightly dewy finish to recreate that healthy skin appearance, making it suitable for those with normal to combination skin. For oily to very oily skin can probably set it with a powder on top if you want to minimize the shine, but it's not a must. 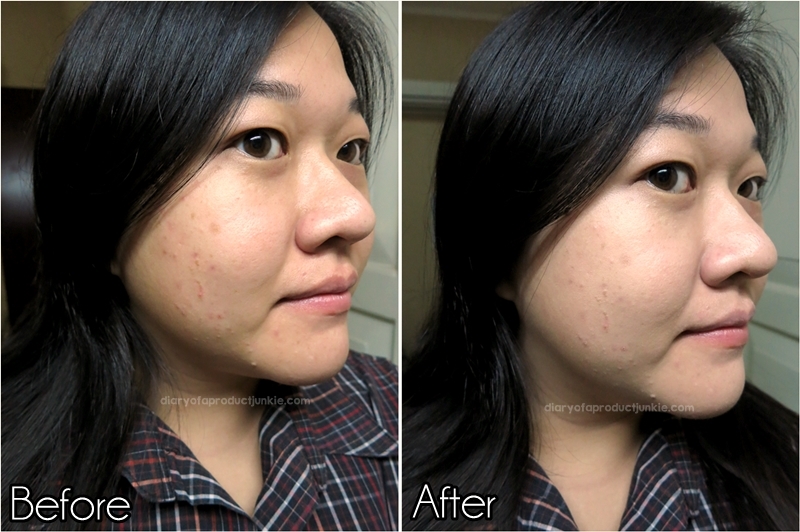 The picture below demonstrates the use of cushion foundation without any setting powder on top. It's not too dewy, right? This cushion foundation is able to give a medium coverage on my face without feeling heavy or looking cakey on my face. It is also practical since all I have to do to apply it is to tap the cushion foundation on my face and I can move on to apply my other makeup. Another thing that I like from this product is the high SPF and PA property of SPF 50/PA +++, but it doesn't feel heavy on my face. Below is just my finished makeup for that day using the Etude House Any Cushion. I filled in my brows with Etude House Drawing Eyebrow in 05 Gray and used the Etude House Apricot Stick, which is just a tinted lip balm. Aku suka foto foto produk cici bagusss bangett belajar fotografi ya ce? saya selalu penasaran sama ini. katanya bagusan laneige chusion..
ad yg pernah coba?? bgs mana? ngag keliatan too white kok, bagus malah..